Some home baristas go all out. They have coffee makers and grinders that cost hundreds of dollars, buy only the finest specialty beans, and labor over their pour-overs like they’re birthing a child. 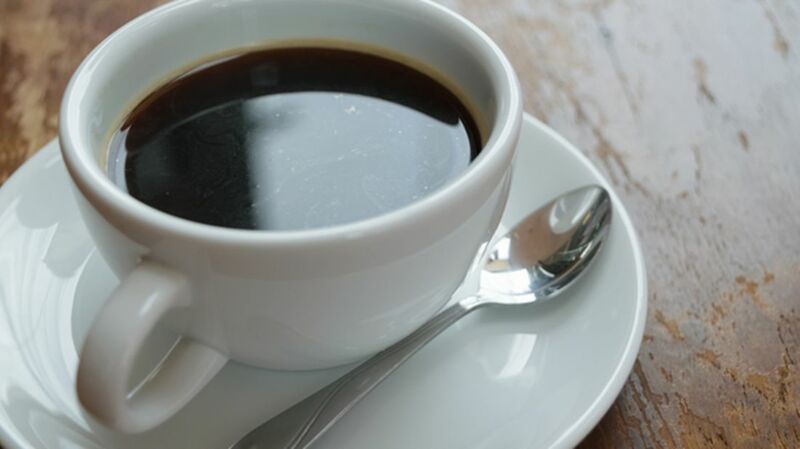 Other people just want to down a scalding hot cup of liquid caffeine in the morning. And somewhere in the middle, there are those of us who love to drink the kind of coffee offered by specialty cafes, but don’t want to spend any more money or time than is strictly necessary to make such a beverage on our own. To find out just how to get the best cup of coffee without straying too far from my lazy and stingy habits, mental_floss went to this year’s New York Coffee Festival and asked some of the city’s finest baristas and coffee experts what is really important when it comes to making your own coffee. Is it the temperature of the water? The brew time? The equipment? “If you could only focus on and invest in one part of the coffee-making process,” we asked, “what would it be?” Yes, all the parts of the coffee-making process are technically intertwined, and if you use terrible-tasting water or let it brew too long or burn the coffee, it’ll taste bad, no matter what else you do. But what makes the biggest difference in making your coffee go from so-so to perfect? Thea Heilbron, a longtime barista who now serves as the events director at New York’s Cafe Grumpy (which you may know from Girls), recommends a Cuisinart burr grinder like this $35 one for beginners. (Mental Floss may receive a percentage of any sales.) But she adds that you should never leave your beans inside the grinder’s hopper, even if it looks like the perfect coffee storage space. Not only will the oils degrade the burr mill, but over time those oils will get rancid—and spread all over your fresh coffee. Unfortunately, this means that “rancid is what most people are used to.” No more! If you’re really looking for that perfect cup, you should grind your coffee immediately before you brew it. “Once the coffee is ground, the aromatics start to disappear within 30 to 45 minutes,” explains Andrew Oberholzer, who roasts the coffee shop Joe’s specialty Top Shelf line. When asked if he would ever consider having a coffee shop grind his coffee, he looks a little scandalized, saying that it would be a last resort if he happened to be going away for the weekend to a place with only a drip coffee machine and no grinder. His tone of voice indicates that he does not go to those kinds of places. However, not all coffee experts are so fastidious in their recommendations. Gregg Roberson, the head roaster at the New York City-based Gregory’s Coffee (and no, he’s not the eponymous Gregory), agrees that the grind of your coffee is paramount, but he isn’t as much of a stickler for grinding your own beans at home, right before you brew. “I don’t know if beginners know the different grinds,” he points out. If you can’t tell the difference between the grind for a French press versus a drip coffee, maybe leave it to the professionals at first. Buy your beans at a coffee shop and have them grind them for you to get a better idea of what you should be doing at home. Once you grind your beans, Roberson says, they have a week to a week and a half—“if you’re pushing it”—before they really lose their flavor and aroma. While it was definitely the most popular response, a few baristas didn't put the grind of the beans at the very top of their list. The coffee-to-water ratio is vital, too. Caleb Ferguson, who serves as Joe’s director of training and quality control, places the scale first in the coffee equipment power rankings. “If you don’t know how much coffee you’re using or how much water you’re using, odds are, you’re probably not making very good coffee,” he argues. Meanwhile, Kelsey Forde, a barista educator at Brooklyn Roasting Company, comes down on the other side of the debate. “I don’t ever use a scale. I go by taste. Scales are expensive.” Do a little experimenting, she says, and figure out what makes the taste you like. For automatic machines (like that Mr. Coffee you have sitting in the office break room), Carolyn Durkee, a trade show specialist at the Seattle-based Espresso Supply, says to make sure it’s certified by the Specialty Coffee Association of America (SCAA), which ensures that it meets the qualifications needed to produce the ideal cup of coffee—meaning that the water and the coffee grounds are in contact for somewhere between four and eight minutes with the water temperature 197°F to 205°F, among other requirements. Just remember: Do what tastes right to you. "All these new technologies in brewing are not necessary to every home barista," says Ally Coffee's Angie Thompson. If you really love the brew your Mr. Coffee auto-drip machine makes, drink your heart out.